Andrew Amore won the 2017 Junior Fair Reserve Grand Champion Turkey prize at the show on Monday. He is pictured with 2017 Fair Queen Attendant Skylynn Barden. Drew Black took the 2017 Fayette County Junior Fair Grand Champion Turkey prize on Monday evening following a long day of shows. He is pictured with the 2017 Fayette County Small Animal Queen Abigail Riley. 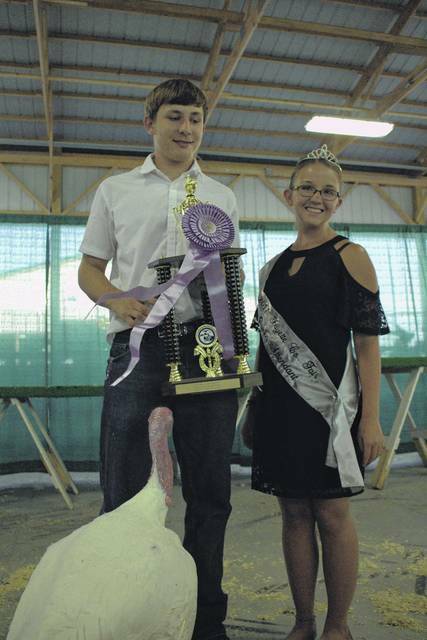 https://www.recordherald.com/wp-content/uploads/sites/27/2017/07/web1_IMG_8097.jpgAndrew Amore won the 2017 Junior Fair Reserve Grand Champion Turkey prize at the show on Monday. He is pictured with 2017 Fair Queen Attendant Skylynn Barden. 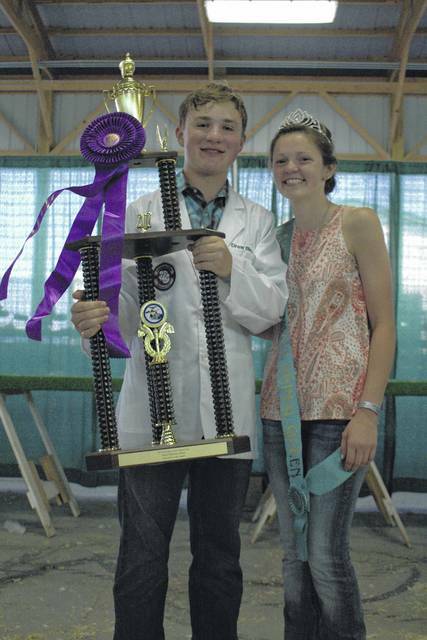 https://www.recordherald.com/wp-content/uploads/sites/27/2017/07/web1_IMG_8101.jpgDrew Black took the 2017 Fayette County Junior Fair Grand Champion Turkey prize on Monday evening following a long day of shows. He is pictured with the 2017 Fayette County Small Animal Queen Abigail Riley.